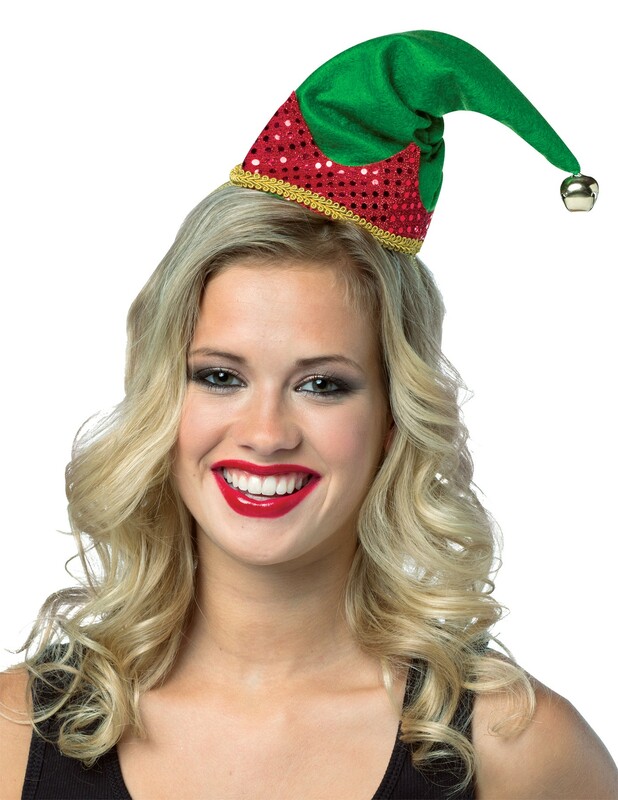 Becomes Santa's favorite helper! 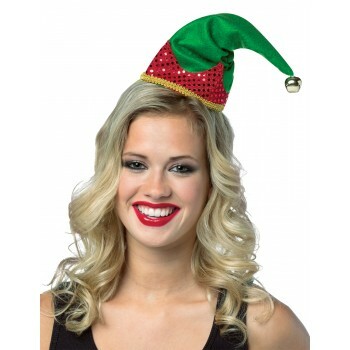 Green elf hat with red sequin trim. Hat is attached to a headband.